An automotive crash involving two tractor-trailers and two passenger vehicles has left a Florida church devastated after it claimed seven lives, including five of their children. A division of the United Pentecostal Church, the Avoyelles Parish church group was headed from Marksville, Louisiana to Disney World in Orlando, Florida when their van was struck. The accident happened at 3:40 p.m. on Thursday just south of Gainesville when a semi-truck and another vehicle crashed on 1-75 north and tore through the guardrail. Upon crashing into southbound traffic, the vehicles hit another semi-truck as well as the church van. “Once those semis struck, they both caught fire,” reported Lt. Patrick Riordan of the Florida Highway Patrol. After 50 gallons of spilled diesel fuel caused a massive fire to erupt, another car was hit with the flying debris. “It exploded. I mean, just a ball of flames,” recalled the driver of one vehicle that narrowly missed the crash. 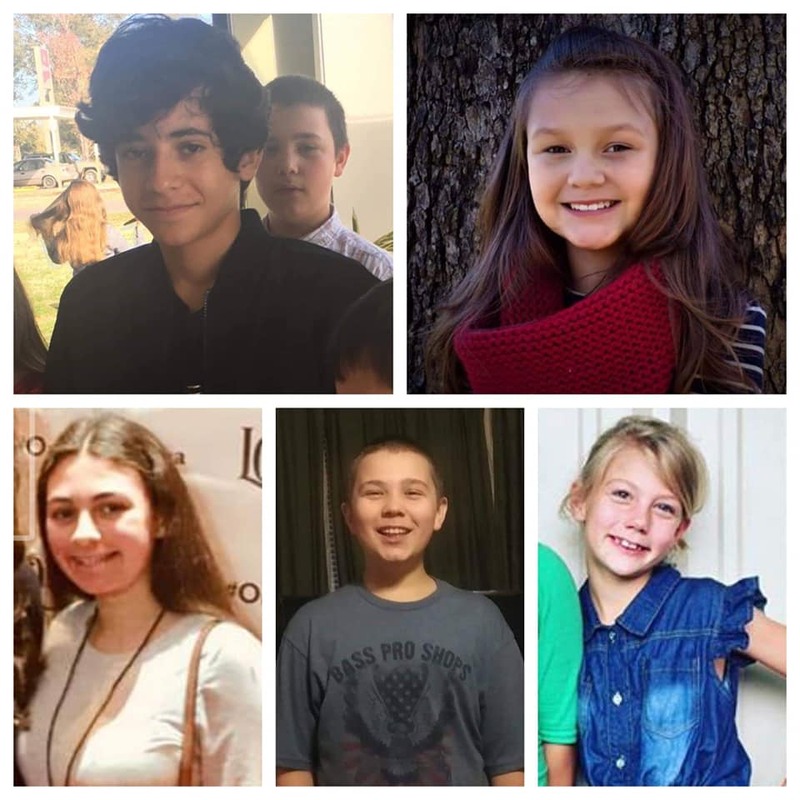 Both drivers of the semi-trucks lost their lives, as well as five children in the church van. Eight others were rushed to the hospital with injuries. “This is the worst thing that has ever happened to us. We have lost half of our children,” an Avoyelles House of Mercy spokesperson told Avoyelles Today. Family members have been notified and are making their way to Florida, but names are yet to be released. Amidst the information and ‘misinformation’ that has been circulated about the devastating crash, a neighboring church, New Life Assembly of God, is encouraging its congregants to focus their hearts on prayer. Update on Van Accident in Florida. Yesterday, January 3, 2019, a van load of people from our United Pentecostal Church in Marksville, Louisiana (pastor Eric Descant) were on their way to Orlando, Florida. For some unknown reason, a large tractor-trailer truck crossed the median of I-75 near Gainesville, Florida and crashed into the church van. Sister Karen Descant, the pastor’s wife, and two other adult ladies were on board the van. In addition, nine children were also on the van. Sadly, five of those children did not survive the accident. Pastor Descant was not with them, but is at the hospital there in Gainesville with those who survived. Sister Karen Descant has seven broken ribs, a broken collarbone, multiple bruises, cuts, etc. Pastor Descant’s words were, ‘She is pretty banged up. One of the ladies was pregnant. They delivered her baby last night, and the baby is going to be okay. She too is pretty ‘banged up’. The other lady is not as severely injured, but is still in the hospital. The four children all have injuries, but the medical staff feel that all of them will heal and recover. One of the five children who died in the accident, was the granddaughter of Pastor Descant. It is possible that many of you have already been made aware of the accident because it made national news. But, you may not have heard that it was our own people who were involved. Pastor Jimmy Toney (pastor in Gainsville) and his wife have been with our people almost the entire time since they were transported to the hospital. They and their church have been exceedingly kind in this horrific tragedy. Please pray for the healing of those physical injuries. And, perhaps even more so, pray for that church family that has been so massively affected by this tragedy. Some of the children involved were Sunday School member of the Marksville church, but their parents were not involved in the church. Please pray that these parents will realize that in times like this, only God can be our Comforter. Please join us in praying for the families of the precious children who have lost their lives in this heart-wrenching tragedy. May God’s peace that passes understanding guard their hearts and minds in Christ Jesus.